An outstanding variation on one of the most well known and best outdoor knives of modern times, this is the new Bravo-1 Vortex. 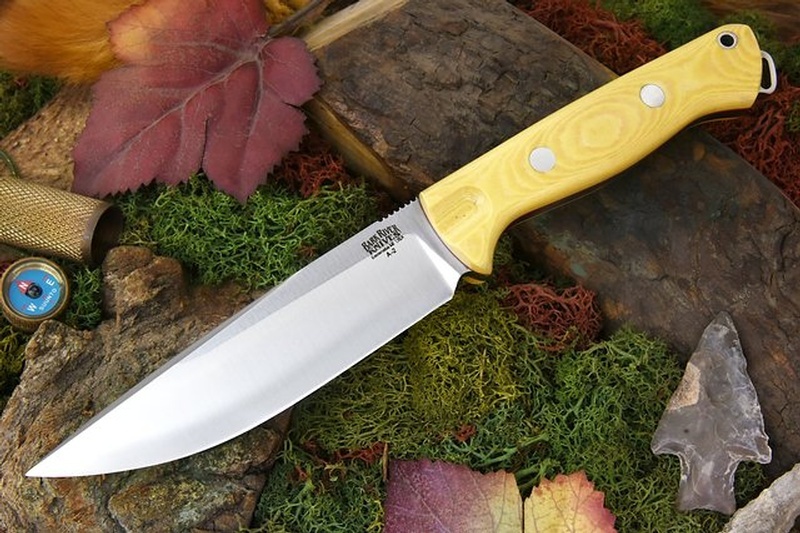 Made in the USA by Barkriver knives, this is a 5 1/2 inch blade, with a narrower, slight false ground tip in the excellent A2 tool steel to 58 HRC. The knife has the same great handle of the Bravo-1, giving a superb grip and also includes a thumb indent for great control, its constructed with a full broad tang and extended (and thicker than previous models) lanyard loop. Both models (ramped and rampless have jimping on the spine) A really superb bushcraft and outdoor/survival knife. Made in the USA, excellent Barkriver warranty. 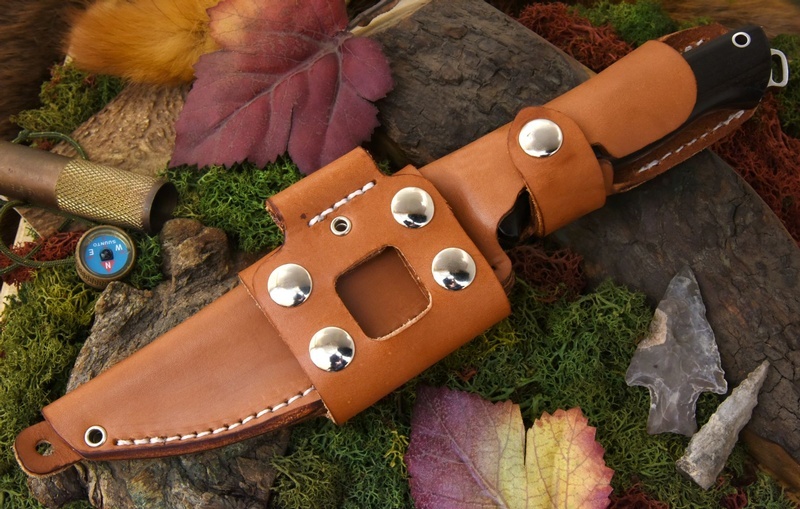 The sheath is something else!, full grain leather, factory molded to the knife, optional carry styles, strengthened and stiffened to promote easy of use, large belt loop, firesteel loop and under strap protector for the snap strap. Its really nice! handle pattern may not be exactly as shown, but these are good approximations. Purchase through PayPal by using the "Add To Cart" button above or use the form below to order the Barkriver knives Bravo Vortex Rampless Antique Ivory . Feel free to contact us if you have any questions about the Barkriver knives Bravo Vortex Rampless Antique Ivory .